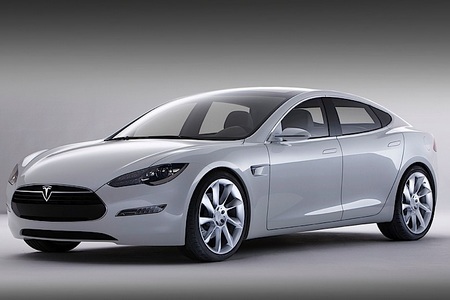 Could we really not have a Model S thread? Great systems overview of a partially-built Model S. This series of three videos give a beautiful guided tour of the car. Last edited by AndyH on Tue Jan 18, 2011 8:39 pm, edited 1 time in total. Here is the drive video. evnow wrote: Here is the drive video. This is the same as the first link in my post, without the autoblog wrappings. It really is a beautiful car. AndyH wrote: This is the same as the first link in my post, without the autoblog wrappings. Oh yes - I din't notice the vimeo link. I like the demo car styling better (atleast the faux grill part). evnow wrote: Oh yes - I din't notice the vimeo link. I do too. It'll be interesting to watch this Alpha program evolve. No luck posting the Vimeo links. The bottom link in post one takes us to these three video clips - amazing engineering! I know someone who canceled his LEAF order and placed a deposit on a Tesla Model S instead. I have to admit - if I had twice as much money for a car - I would be seriously tempted, too! End of April 2013: Traded my 2011 SL for a 2013 S with charge pkg. 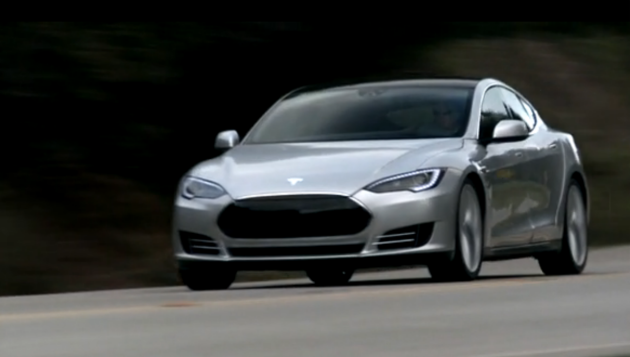 I've followed Tesla since its inception and fully intended to buy a Model S... But the Leaf has stolen my heart, at least for now! That and the S is too big to fit into my garage well. I'm just not crazy about big cars. The Leaf price sure helps a lot too! I drove a Tesla roadster last Saturday and was very impressed. If the S was available right now, I would consider it, but it's looking like the end of next year before I could buy one, and the pricing is still unsettled and bound to go up by the launch IMHO. SWSBO does not want to wait another year for an EV, and paying half as much for the Leaf appeals to me, despite the exciting features, appearance and performance attributes of the Tesla S. If it turns out to be everything the promo hype claims, it will be quite a car. Battery replaced at 61,307 miles. Yep - once my Leaf lease is up, I'll be looking at Model S, Infinity EV or Megacity. But only if a decent lease is available. Otherwise it will be back to Leaf or some other "inexspensive" EV.